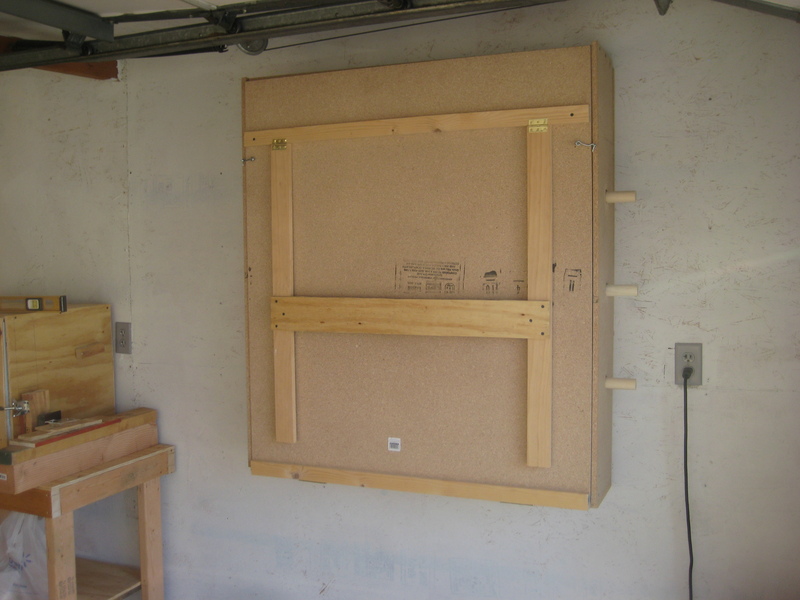 I started by cutting two 48″ x 43″ pieces from a 4′ x 8′ sheet of 5/8″ particle board. This left a 48″x10 piece left over, which I will use for one of the sides. 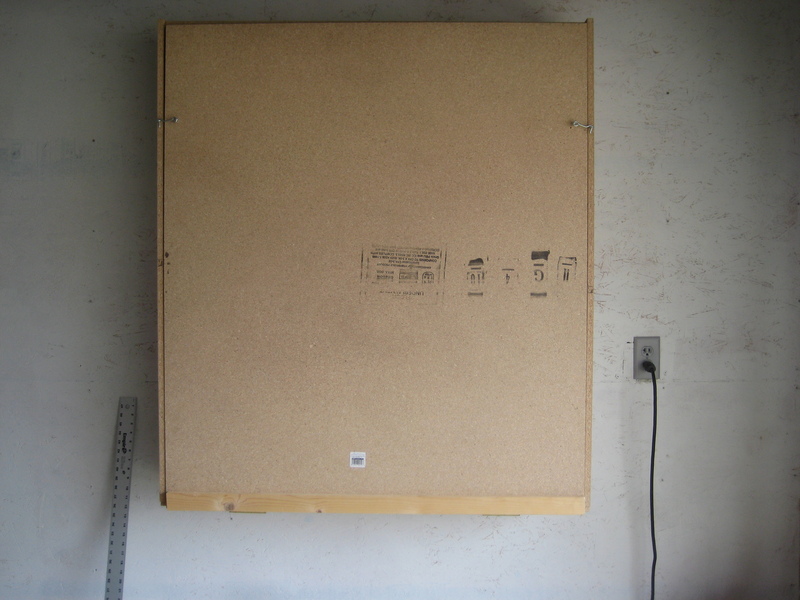 Then I cut (3) 48″x10″ pieces off the end of another sheet of 5/8″ particle board. I ended up making a mistake during cutting, and had to put it together slightly different than planned. At this point I should have cut the top and bottom pieces to 43″ lengths. I will still need to trim the front door for fit, but all the other pieces are cut out and ready to be biscuit joined, glued, and screwed together. garage open. I added a 1″x2″ piece to the bottom side of the table top so I would have some additional support for the hinges to screw into. I screwed the hinges into both the cutting side of the table top, as well as the bottom side of the bottom board. I also drilled the holes for the dowel rods, however, hindsight would have me drilling the holes with slightly different placement if I was to do it again. 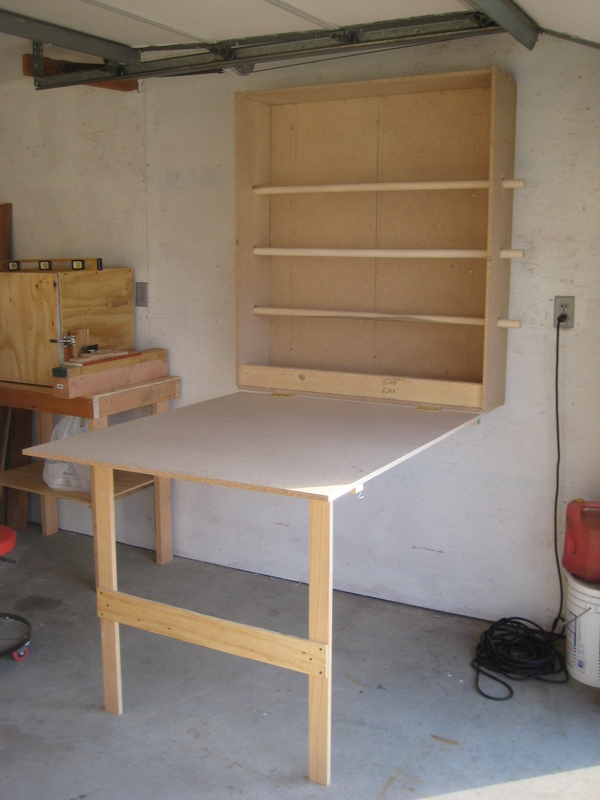 It will do just fine, and there is still room for a small shelf at the top, which I plan to add. I also need to add the fold up legs to support the cutting surface. 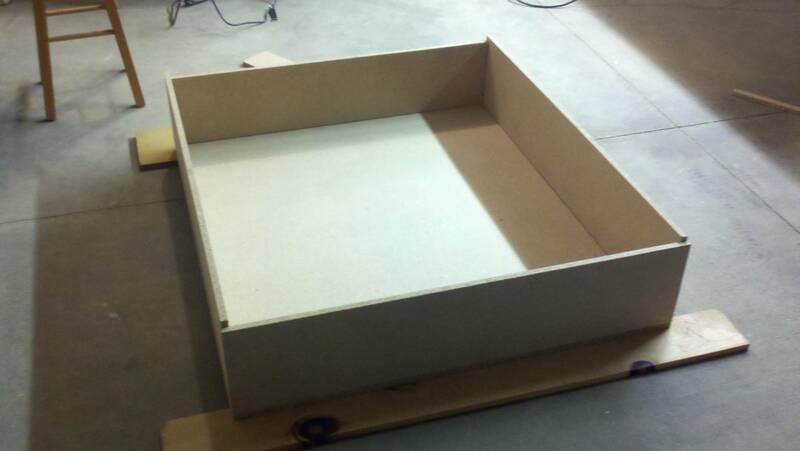 The following night I added the legs to the cloth box. 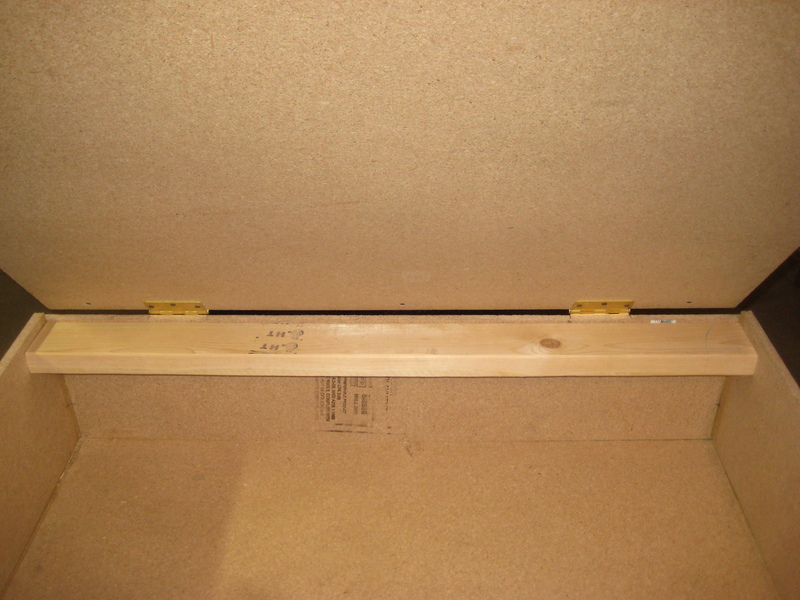 I started by attaching a piece going horizontal for support, then added the hinges to the support piece and the legs. I then added a cross piece to stiffen the legs and make it one assembly.